450 gr Reusable Silica Gel Container - Interteck Packaging, Inc. 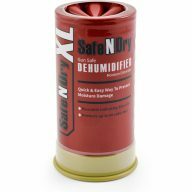 The 450 gram silica gel unit protects 33 cubic feet of enclosed space. 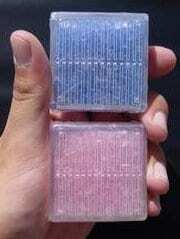 The 2″ x 4 1/2″ x 7″ corrugated carton has a built-in indicator that turns from blue to pink to signal the need for reactivation. Unit reactivates in any conventional oven. Ideal protection for safe, gun chest, display cabinets, and similar storage chests.